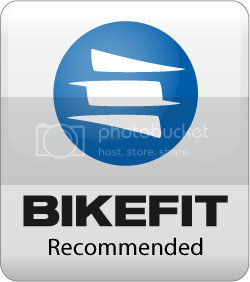 Professional customized coaching for endurance athletes and mobile bike fitting. Putting on some weight in the off-season is desirable. It helps support your immune system, and you can’t maintain race weight year round. The off-season is one of the most important blocks in your training cycle, yet it is one of the most neglected and misunderstood periods during your annual training cycle. It is an essential part of a fully integrated training plan though if you want to grow as an athlete the following season. Many athletes however find it difficult to give into the off-season due to the type A personality associated with most competitive endurance athletes. The off-season is critical to shed all the accumulated fatigue stored in the body. There is a direct correlation to recovery and longevity. We don’t want to carry any fatigue from the previous season into the new year. This is a recipe for injury, under-performing, and eventually burnout. In the first 2-3 weeks of the off-season you want to no structured training, and any exercise you do should be at an active recovery pace. Aim to cut your volume to 10-30% of your in season volume. Remember the whole idea of this period is to unload all the fatigue you have accumulated throughout the year. This is where we get the motor moving again. After an extended break we need to re-familiarize ourselves, and our bodies with training and prepare it for the work to come. You will probably feel flat for a bit, but your body will eventually come around. Any training in this phase is should be designed to prepare your body and not fatigue it. 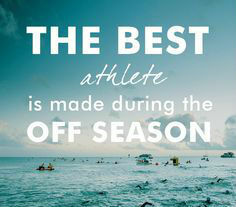 This is a great time to work on your swimming by increasing your swim frequency. This is also the perfect time to start strength training, though with little to no heavy lifting – remember we are going through the motions to prepare the body. Basically, any work you do should be low zone 2. This is where we start getting back into the meat and potatoes of our training. We will gradually pick up our volume and start priming our aerobic system. This is also the best time to focus on improving whichever sport is your weakest sport, which for many athletes is the swim and run. Most importantly I can’t say enough about giving back to your support team in the off-season. It takes a small village to compete in sports, especially sports such as triathlon. Your family is sacrificing more than you are so you can train and race. Make sure to show how much you appreciate their support. Great weekend out at the @jacksgenerictri #Repost @jacksgenerictri ・・・ 👏Congrats to all finishers!